Arthritis Research UK Internship Project 2016-8 Allied Health Professionals and Nurses Celebrating the Success of 2016 Cohort! 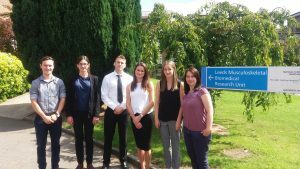 The first cohort of new health profession graduates from across the UK have successfully completed an eight week research internship at the end of August. The ARUK funded project overseen by Prof Cathy Bowen and managed by Mary Fry at the University of Southampton is an excellent model of a collaborative internship project working with leading researchers at the Universities of Oxford, Salford, Leeds, Southampton and the West of England. Darel Evans was the intern at Salford, a Physiotherapist by first degree who worked under the supervision of Prof Richard Jones to consider “Optimisation of footwear choices in the management of knee osteoarthritis”. Within a short 8 week time-frame the six interns conducted substantial research in a number of projects all under-pinned with sound public health principles. They presented their high quality research findings in an informative dissemination day at the University of Leeds. 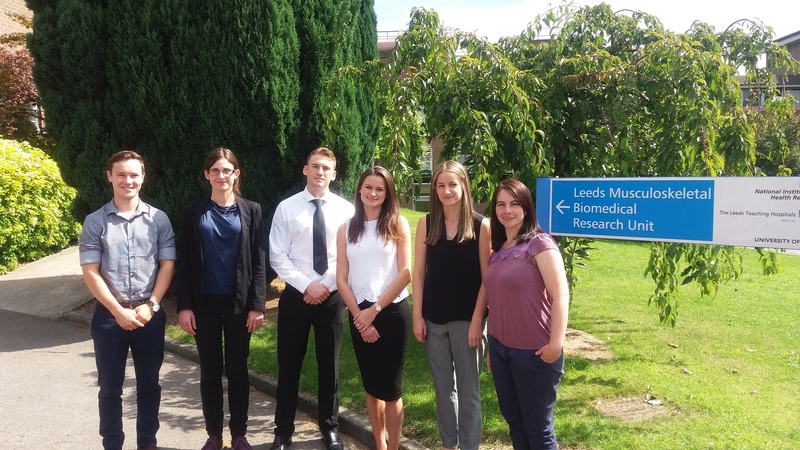 Evaluation from the interns has demonstrated how valuable the Scheme is in introducing the brightest interns to a network of world-renowned researchers and linking their clinical roles with the latest research – benefiting patients with the latest evidence-based care. Dr Anita Williams, who organised the scheme for Salford, comments “Darel’s internship was a real success for the department with a bright, enthusiastic researcher who’s hard and high quality work will likely lead to a peer reviewed publication”. All of the interns have secured substantive posts – and plan to continue their careers in research in the future. They will all remain involved in the Scheme, providing mentorship for future cohorts, sharing their experiences and promoting the Scheme. Past schemes have shown that interns benefit from much faster career progression than their peers. The scheme is a three year project running until 2018 and is open to final year students in Occupational Therapy, Nursing, Podiatry and Physiotherapy who are predicted a 2:1 or 1st degree. Recruitment will begin at the beginning of Nov for the 2017 cohort. For further details please contact Mary Fry on m.l.fry@soton.ac.uk or Dr Carina Price at Salford who will now represent Salford on the organisation committee c.l.price@salford.ac.uk. A mum of three and midwifery student at The University of Salford is “amazed” and “excited” to have been nominated for a Woman of the Year award for helping mothers who have cancer. University of Salford midwifery student and mother of three Nicolette Peel is “amazed” and “excited” to have been nominated for a Women of the Year award for helping mothers who have cancer. 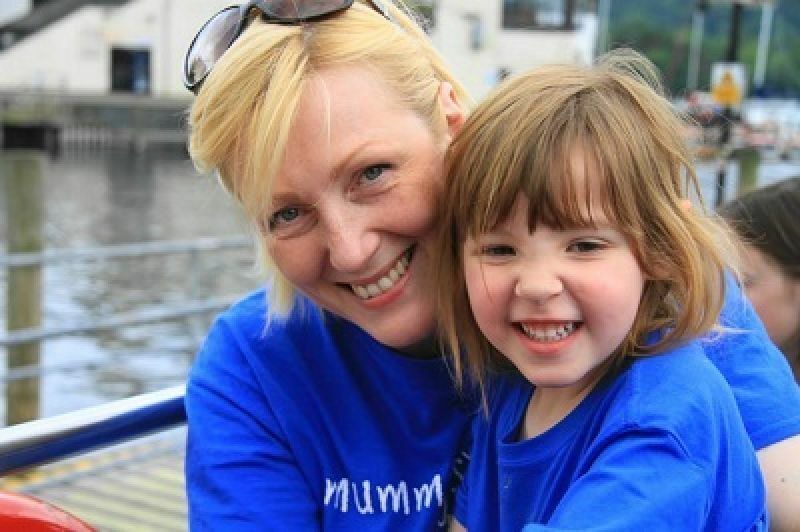 Nicolette, from Glossop, Derbyshire, will attend a lunch in recognition of her work with the charity Mummy’s Star. Mummy’s Star is the only charity in the UK and Ireland dedicated to helping women and their families affected by cancer during pregnancy or within a year of a birth. The 44-year-old, herself twice a breast cancer survivor, juggles her duties as the Chair of the Charity with being a student and a mother. Nicolette studies a BSc (Hons) in Midwifery, in the School of Nursing, Midwifery, Social Work and Social Sciences. The School, which is one of the largest training nurses and midwives in the North West, recently opened a state-of-the-art nursing simulation suite, which gives students the opportunity to learn a wide range of skills in as realistic a setting as possible. Nicolette is also on a steering committee for pregnant asylum seekers in Greater Manchester and chaired the Midwifery Society at Salford University. Additionally, she is the first student ever to be invited to speak on the main stage of the Royal College of Midwives annual conference, which takes place next month. “Earlier in the year Nicolette won the Royal College of Midwives President’s Volunteer Award, which recognises an RCM member who has volunteered in a field with relevance for the provision of maternal and child health within the UK or overseas. The University of Salford and the midwifery profession already know what an incredible woman Nicolette is and it’s great that her hard work is getting recognised”. An educational approach aimed at reducing muscle tension and improving postural support has the potential to help millions of people suffering osteoarthritis in their knees, according to researchers. Academics from our Centre for Health Science Research studied the effect of one-to-one lessons in the Alexander Technique on a group of 21 patients suffering knee pain caused by osteoarthritis. The Alexander Technique teaches people to become more aware of their own habits – from slouching while standing to inappropriately tensing leg and back muscles while performing daily tasks – and lessons are aimed at improving movement coordination and reducing the muscular tension that has accumulated over a lifetime. 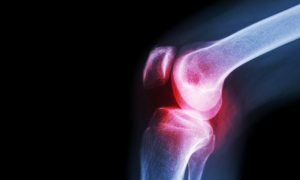 This pilot study, published in BMC Musculoskeletal Disorders, jointly carried out with the University of Manchester’s Human Pain Research Group based at Salford Royal Hospital and University College London’s Institute of Neurology, found the sessions led to a reduction in damaging knee muscle contractions.